there are kind of themes. You gain experience from crafting them, and can craft multiple amounts such as two times the amount of essence you have when you gain levels. You need to go to an altar such as the air altar (for air runes) to craft them. Crafting â€“ This skill can come in very handy, but a lot of people donâ€™t seem to realize this. You can use this skill to make everything else you canâ€™t make by smithing. This includes some amour, but also jeweler, items and lots more. You can also cut certain gems by having a high enough crafting level. If you decide to pay to play, there are many more skills you can gain levels in such as Herblore, Agility, Fletching, Construction and many more. All these skills can become very useful and provide more to do and work on. These are just like missions in any other games. You can start them at certain places depending on which quest you want to do. Some quests require certain skills in order to even try them, but some just require a good enough combat level to do them. However, not all the quests involve fighting enemies! A lot of the quests just depend on you to past messages on, help out people and make Runescape a better place! There are a variety of free quests to do, however there are many, many more quests on pay to play. These are shown on the world map by a certain symbol, so just look out for them. In guilds, you can also buy certain things, or just go there to buy common things of that skill. At times like Easter, Christmas and Halloween, there are kind of themes. I have never experienced these before, but I know you can get certain items and Runescape gold at these times by random events or killing monsters and they drop them. They can only be gotten at this time, therefore are rare and valuable after a while. I know people from years back playing that has things like Santa hats from Christmas years ago. These occur randomly, but normally when you are doing something like fishing or mining. They wonâ€™t just happen when you are walking. There are loads of these, and some are different on pay to play. Generally, they are all good in the way you get an easy reward. Some are quite hard however, and require skill. It is not bad a month and less if you pay for a year. You can pay by text, phone, credit card and more ways to suit you. 200 million is an obscenely big number. Itâ€™s more than the population ofBrazil; itâ€™s the most XP you can gain in a skill; and itâ€™s very nearly the number of accounts that have been created in RuneScapeâ€™s long and exciting history. Final Stage Activate the Charge! The spoiler of new adding scenes in wow 5.2. Four brand new scene battles will be added in 5.2. The main plot is around by the thor throne and Zandalar military to develop. The following is the battle process of the four new scenes. Ride the tame thunderwing and intercept the Zandalari patrol. Use Sleeping Darts on Zandalari Overwatch and Smoke Bombs on Sentry Totems. Neutralize as many as possible in two passes over the shipyard. Get Taoshi to the siege weapons at the front of the ship, then go below deck and assassinate the captain. Escape the warship and reach the gate at the far end of the shipyard. Speak to Scout Captain Elsia and fly over the island. Acquire the Heavy Explosives from the Deathknell Graves. Speak to Elsia at the city wall. Sneak (or fight!) your way past the Mogu in the mines, to the cave-in blocking the entrance. Activate your companionâ€™s Arcane Charge to blow open the entrance to the mine.1. Control skills canâ€™t trigger point network, and sharp netâ€™s trigger damage can be dodged. First i want to say i am a die-hard fan of wow. First i want to say i am a die-hard fan of wow. I know WOW over ten years and also play it nearly 8 years. As a faithful wowâ€™s history, the story touches me deeply. When i was a pupil, i was touched by Khadgarâ€™s intelligence and turalyonâ€™s brave. When i was in middle school, father bought a computer. Meanwhile WOW III came out. I bought a pirate CD and began my WOW road. At that time, i chose human race without thinking. Though human race was the weakest in that version, but my paladin let a lot of players helpless. Finally WOW came, but it was very pity i am not the first 45 level play. When i played wow, it just opened 60 level, but i was very happy to do task. At present, i canâ€™t find that feeling back. G group is blocking the way. There is no guild group position. Died mines, prison, ZUL and crush. Then G buys equipment. We become workers from bosses. We work for other fast food shops. A lot of fast knights are insulting this career. When independent camp kills little number, you rid on your golden horse and step over their died bodies, neglected their shuts in general channel. You donâ€™t care of their feeling. 1. Control skills canâ€™t trigger point network, and sharp netâ€™s trigger damage can be dodged. The dwarves were impressed with the ingenuity and quickness of their smaller â€œkinâ€ (for they had also been titan-forged and similarly cursed), and they assisted the gnomes in constructing a capital city, Gnome Regan, in the foothills of Dun Morogh near the dwarvesâ€™ own capital of Iron forge. From their wondrous techno-city, gnomes provided invaluable support in weaponry, vehicles, and energetic troops to theAllianceof dwarves, humans, and high elves. 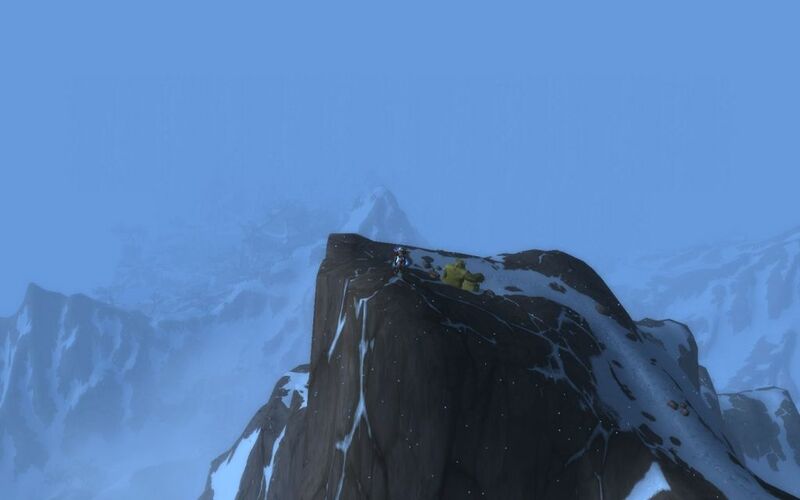 In RuneScape, Zamorakâ€™s Fortress is a place you need to pass, and there you can get runescape gold through killing monsters. Letâ€™s know more about it. Sometimes our departments can get full and it may take longer for your order to start. You can be assured that once free workers are available, we will start on your runescape gold order. The abilities and runescape prayer calculator found in Combat are usually as uses: Assault, Security, Power, Ranged, Prayer, Secret, Summoning along with Hitpoints. This specific skill that bravest in the fearless to be able to possibility that scary absolute depths regarding runescape gold Daemonheim;to adopt about on the list of successful employers which dwell inside in order to find out that bluish tips which lay intered at nighttime sides. First up, on Saturday 24th July, the three Triumvirate factions will be putting aside their differences for one massive celebration. Naturally, you have to spend these individuals to safeguard a personâ€™s tree, and so they require a few Monkey Loco, your Monkey Icon, including a surface Suqah Enamel. Whenever you reach level 3 Farming, youâ€™ll can come up with a Scarecrow. They should ward fowls from the a personâ€™s Sweetcorn, consequently keeping condition of buy gold for rs. Compared with other runescape gold sites, you can find our prices are much cheaper than others. That is why many of our customers come back for repeat runescape gold orders.Another possibility is an opportunity to submit screenshots in the greatest occasions in the difficulties, through choreographed collection pictures to be able to idiotic skilling poses. Itâ€™s any skilling bonanza! After checking your bank records, simply enter the deposit amounts into the Paypal query page and your account will then attain verified runescape gold status.For example, if you were to improve your mining skill from level 1 to level 30, you would then be able to mine something else such as iron ores. Woodcutting â€“ This isnâ€™t a very popular runescape gold skill, but a lot of people use it to gain money, as certain trees you cut give off logs that can be worth good money. My personal initial max-level persona would be a paladin tank, i wish someone experienced said while i has been new to tanking that itâ€™s Fine to become brand-new. It does not matter, i was many new once. If youâ€™ve merely ended up within an illustration that youâ€™ve never ever tanked prior to, or perhaps do not bear in mind, inform your team if youâ€™re not confident where to go. Itâ€™s likely that one too knows. Use your road directions, also! Along with the exact same does apply if youâ€™re not heading in which quick since you might be waiting for a patrol, or perhaps considering what one will be the healer or perhaps spell-caster in the class, as well as discover where you are went up coming. If a DPS rushes off and also drags some thing, question them not to, or perhaps make clear that youâ€™re expecting a thing to take place. Of course, you may get several muppet hinting to â€œgoâ€, but try not to acquire burdened about it. Theyâ€™re the actual muppet. Last but not least, should you retain losing aggro to a family pet, maybe itâ€™s a warlock pet or perhaps a hunter dog, keep these things turn off his or her puppy taunt. That they should not head! 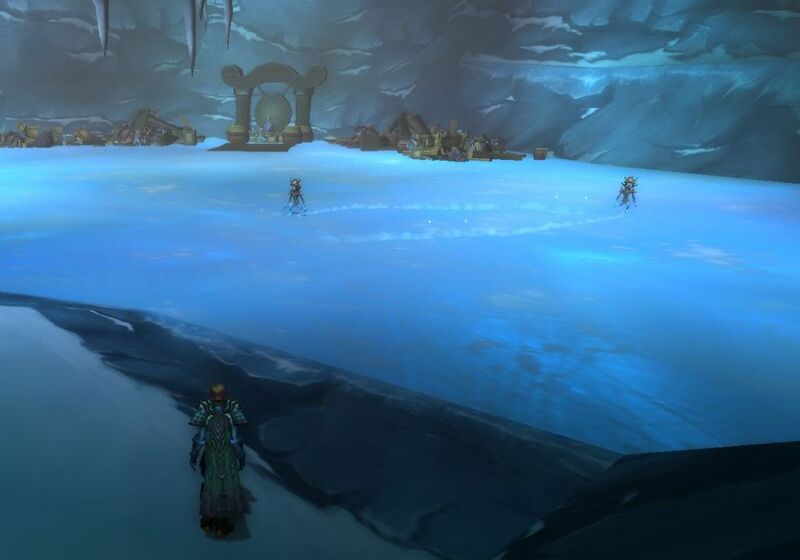 And, if you want a lot more class-specific support, have a look at WoW Insiderâ€™s tanking posts! 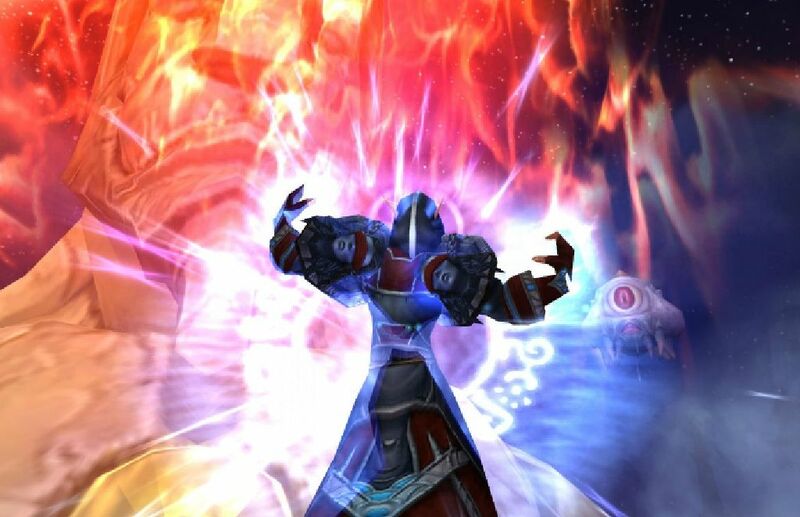 Should you be insistent that cheaty PvP-based gearing was not for you personally, you may only operate a several normals and earlier heroics, including the Zulâ€™roics or maybe the ones ahead of, to obtain on your own geared to a satisfactory amount for that Several.Three heroics. In addition, much of your could deliver your alts respectable, latest items with their expected flood regarding valor factors, and your proper rights points purchased the past tierâ€™s items. The reason why your Cataclysm retrospective? 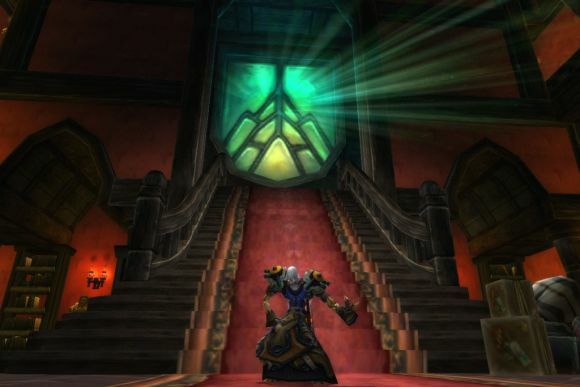 Remember of how simple it absolutely was, inside Cataclysmâ€™s twilight hours, in order to level and gear alts with a raid-ready level, or perhaps, for example, to a aggressive Player vs player stage. Really apart from the ease, it absolutely was the only real point still left to complete, after months on several weeks regarding Monster Heart. 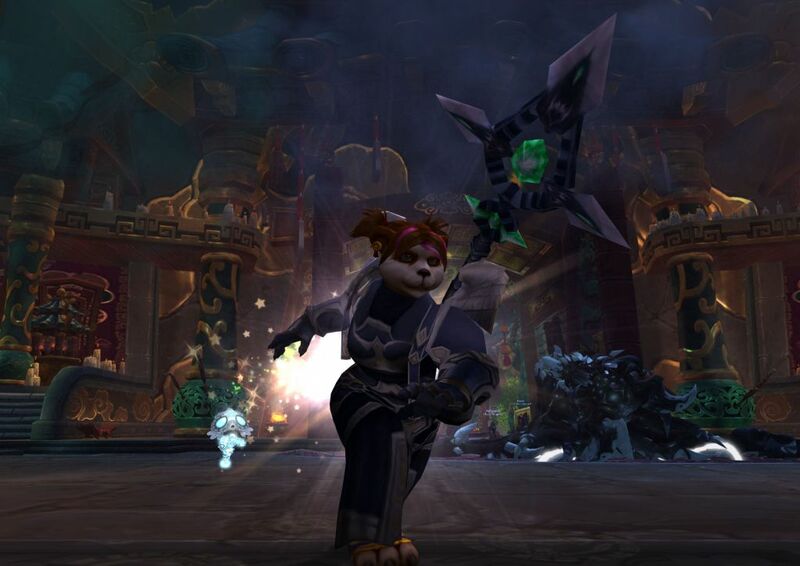 However Mists associated with Pandaria is quite a distinct pet. 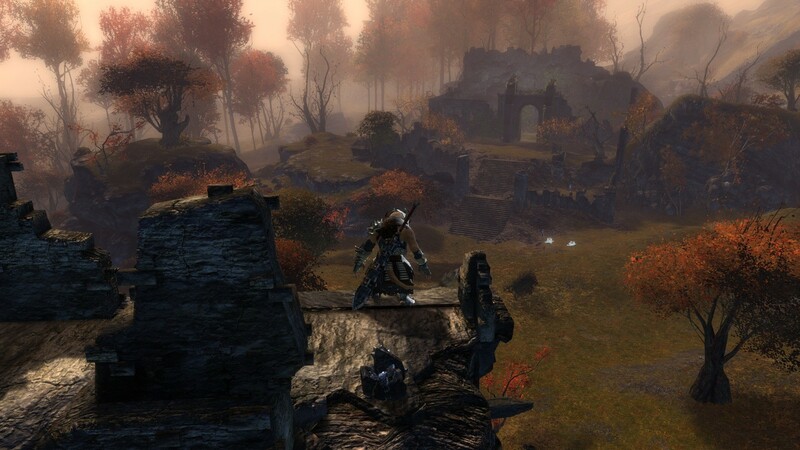 Mists was created to be able to countertop Cataclysmâ€™s grievances. Far from increasing bored, a person must have plenty to get progressing with with only 1 figure. Your gearing levels, until youâ€™re a PvPer, tend to be far more arduous, with day-to-day tasks turning out to be basically essential. Not only that, nevertheless latest announcements coming from Blizzardâ€™s Mature Neighborhood Repetition Zarhym mean that this is not more likely to alter, knowning that, since awaited, with regard to far better or even even worse, Mistsâ€™ articles will certainly drive gamers through previously levels. Our distinct pondering this is not really much with regards to Mistsâ€™ composition. Blizzard have been fairly bullish, in spite of their particular open-ness to be able to catch-up support, regarding the present game viewpoint. They are insistent that there ought to always be enough for your player with only a single figure to accomplish, knowning that watering down individuals jobs regarding alts would have been a scourge. Thatâ€™s not me genuinely asking yourself, at this time no less than, whether or not this is an excellent notion you arenâ€™t.